My Japanese friend Chika and I took a break from our tour of Japan to spend a week visiting friends in South Korea. I already sensed on the first day that one week would not be long enough. Oh well, I guess I will need to come back. 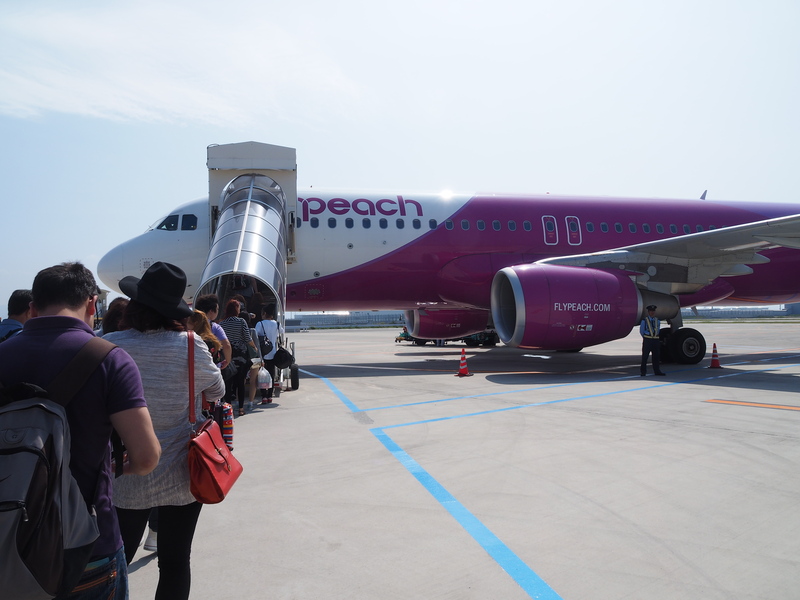 We flew on Peach Airlines from Osaka to Incheon airport, outside of Seoul. We had good instructions from our friend Taehyoung about which train to take to which station, so after retrieving my suitcase, hitting up an ATM for cash, renting a wifi “egg” for the week, picking up maps, and buying and loading our transit cards, we were on our way! We were immediately impressed by how friendly Koreans are. On our ride into Seoul, we were chatted up by a 71-year-old retired electrical engineer who worked in Montevideo, Minnesota (!) and nows travels with his wife back and forth between the U.S. and Korea, visiting family on both continents. 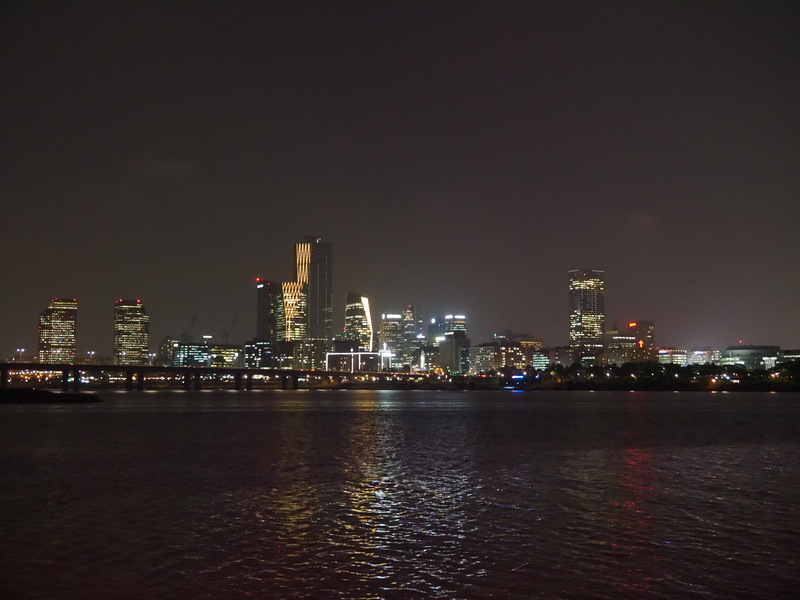 As I wondered aloud whether the river we were passing over was fresh or salt water, the woman next to me explained Seoul’s geography. Her English was as fluent as the engineer’s; it turns out she has been living in London and is engaged to someone there. With instant messages back and forth to Taehyoung, who was three hours away in the countryside, we arrived successfully at Hongik University station and met his friend Kwangdae who led us back to yet another friend’s vacant apartment (well, vacant except for five cats). The cats’ owner was travelling and we were welcome to stay there. Such kindness. Kwangdae fed us and then took us on a lovely walk along the Hangang River and through a lively market area before returning with us via bus back to the apartment. Taehyoung arrived the next day and the three of us met up with our mutual friend Jurgen. We attempted some sight-seeing, but it was raining pretty hard. Our walk took us past the American Embassy and Gwanghwamun Square, where families of passengers killed aboard the Sewol ferry in April are conducting a hunger strike. A volunteer explained that they are asking for a transparent investigation into the tragedy, with criminal consequences for those found at fault. 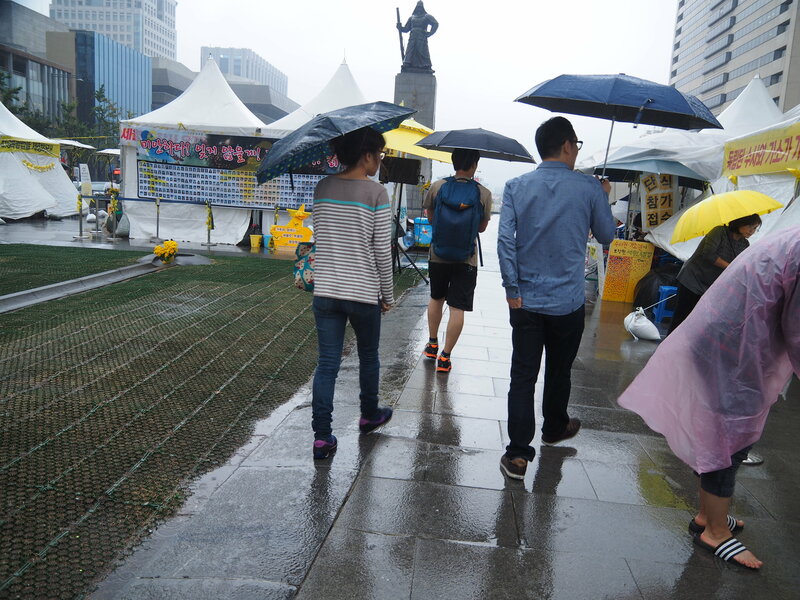 We waited out the rain at a Starbucks (they are plentiful here), then resumed our tour past the Gyeonbokgung Palace and over to Insa-dong Street, which is a prime shopping and eating area. 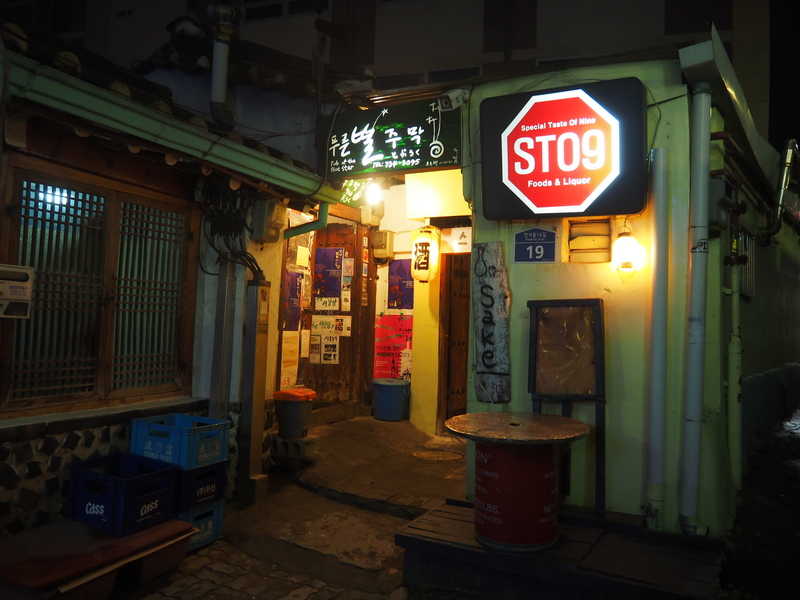 Jurgen had already treated us to lunch and coffee, then Taehyoung treated us to dinner at a cozy, back alley establishment where he had once worked and that we would never have found on our own. 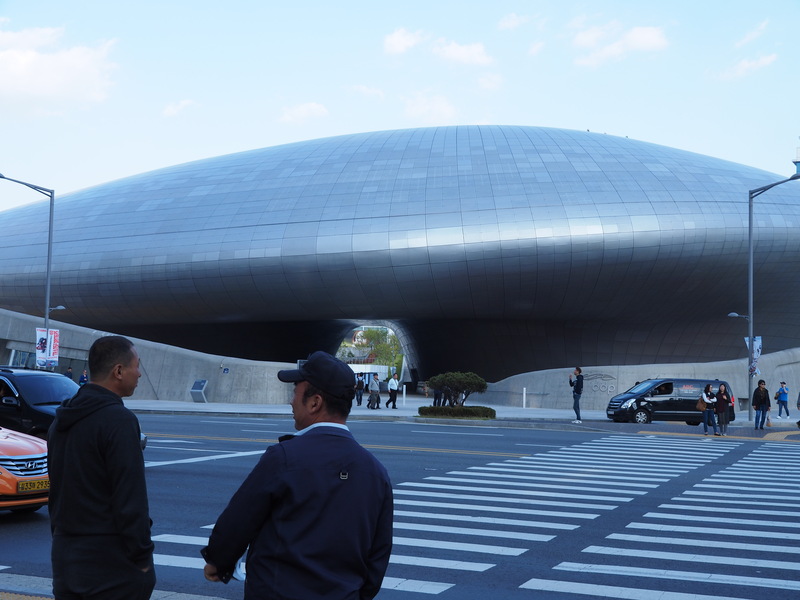 Our experience in the bustle of Seoul was a sharp contrast to the calmness we encountered the following day when we travelled with Taehyoung to the countryside. Taehyoung works for the National Trust of Korea at a site on the Dong River that was slated to be dammed up and flooded. The Trust now owns the property and is preserving its natural beauty. 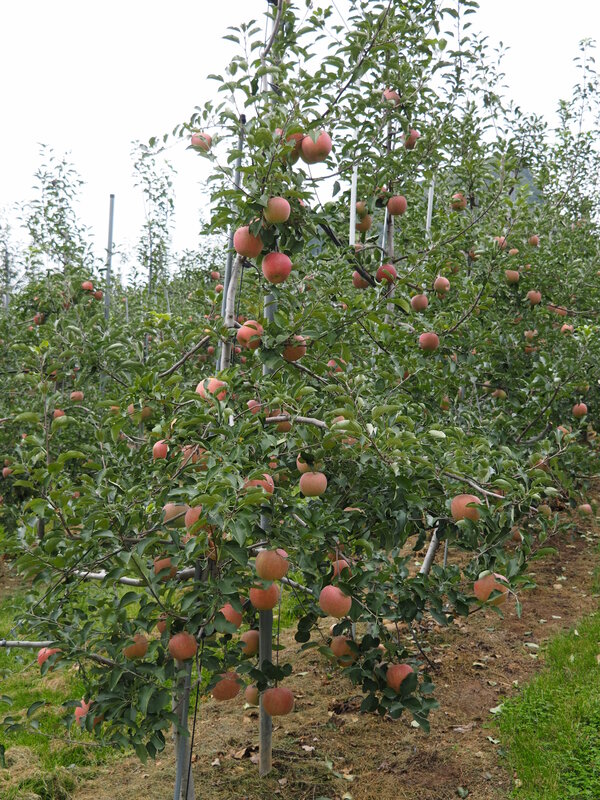 There are many farms in the valley, growing apples, ginseng, red hot peppers, edamame beans and peanuts. 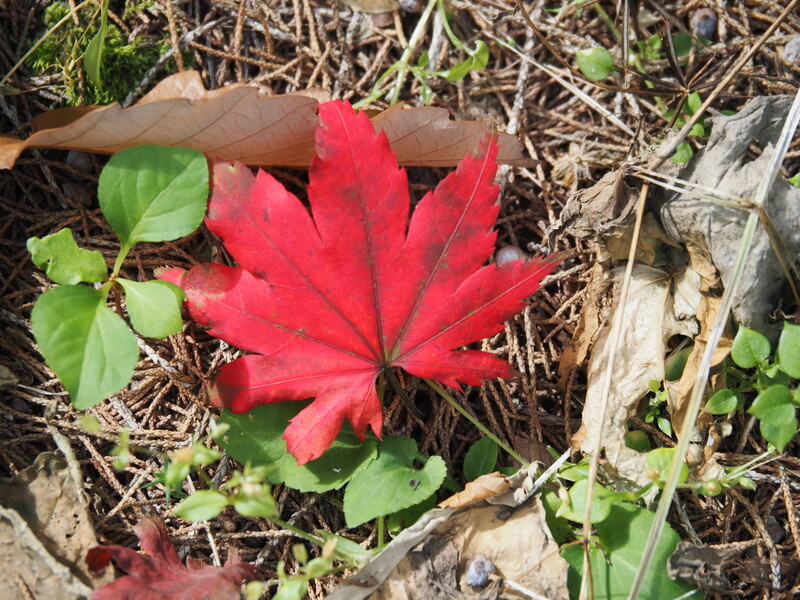 There were the beginning signs of autumn. Our friend Jin arrived on the weekend from Seoul with her boyfriend Jiho and his dog Genie. They cooked us an amazing fish dinner and drove us back to Seoul the following day. 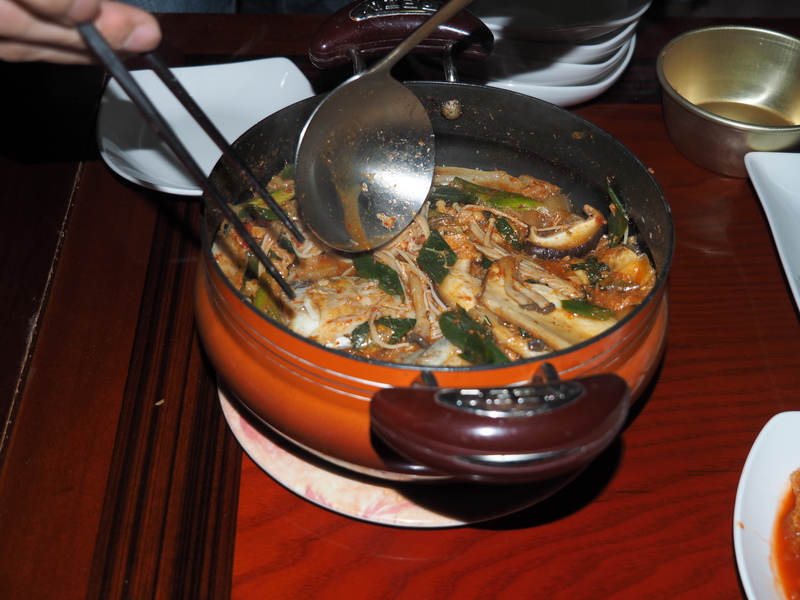 For those readers unfamiliar with Korean food, I will give you two words: spicy and delicious. 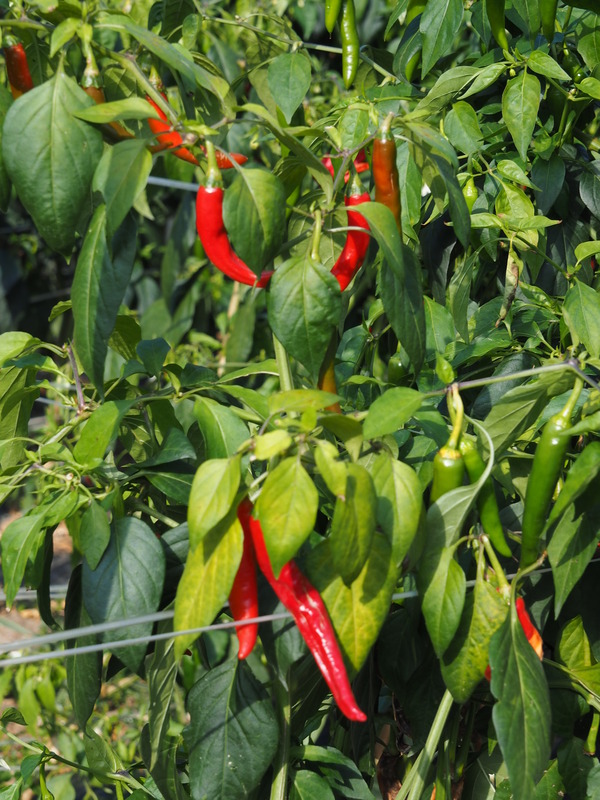 There is good reason that the valley is filled with fields of chili peppers. 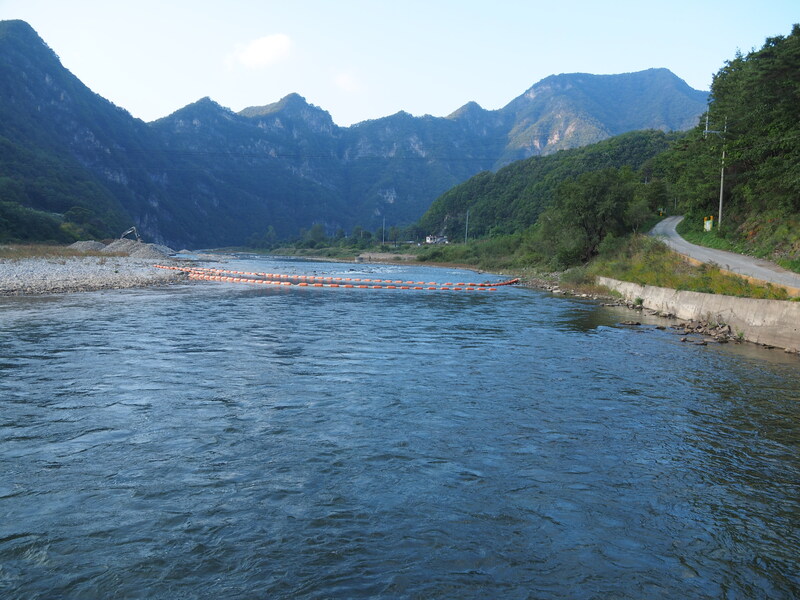 Our drive back to Seoul took us past some spectacular scenery. 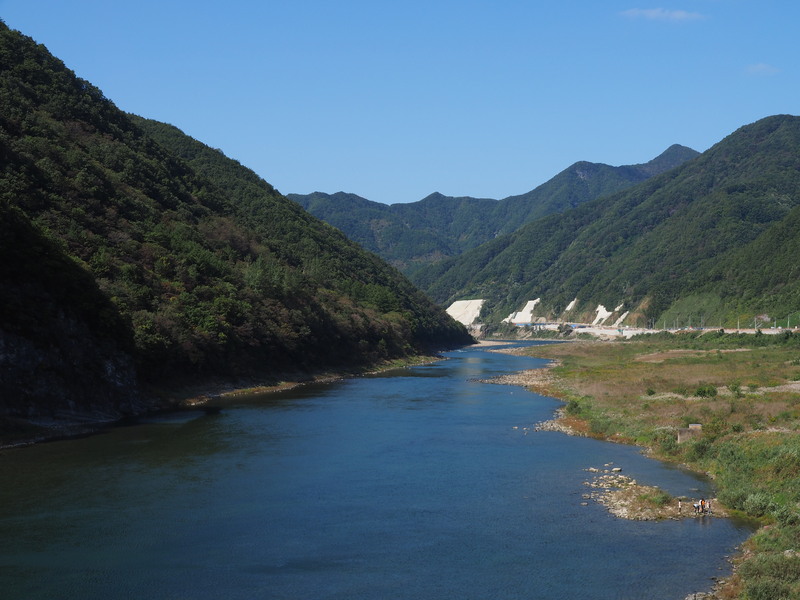 As is true of Japan, Korea is a country of mountains. Such awesome beauty. When I ask my fellow Svanholm guest friends whether they find the Danish landscape boring, since that country is so flat and theirs is so mountainous, they uniformly surprise me by replying that to the contrary, they find the wide open vistas exciting. They like being able to see far off to the horizon. I agree that Denmark is beautiful; I am just surprised that they think so. 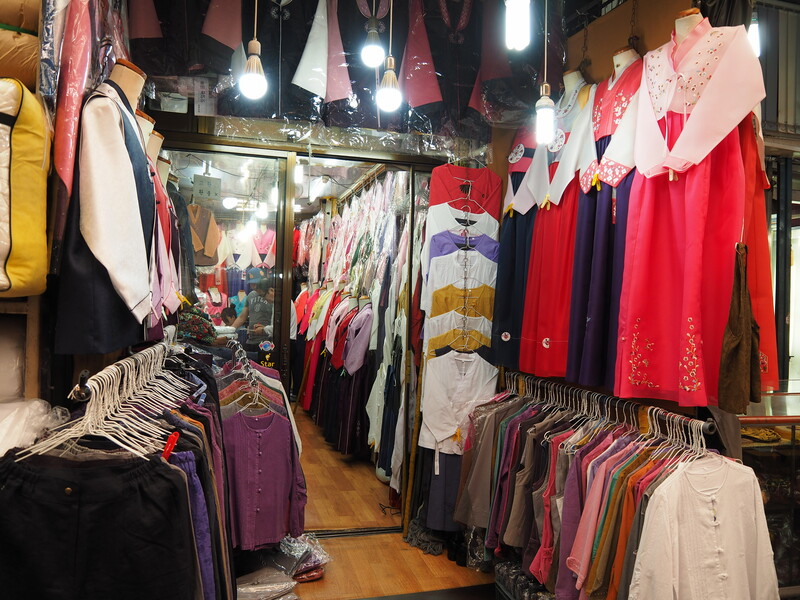 Our final day in Seoul was devoted to shopping. Jin was nice enough to meet us and take us through both the Gwangang Market, an old market area filled with stalls selling traditional Korean wear, fabrics, bedding, and street food, and the area around the Dongdaemun Design Plaza, an ultra-modern facility that looks like a cross between a space ship and the Goodyear blimp. For my transit-oriented friends, I can report that Seoul’s metro system is very efficient and well marked in both Korean and English. 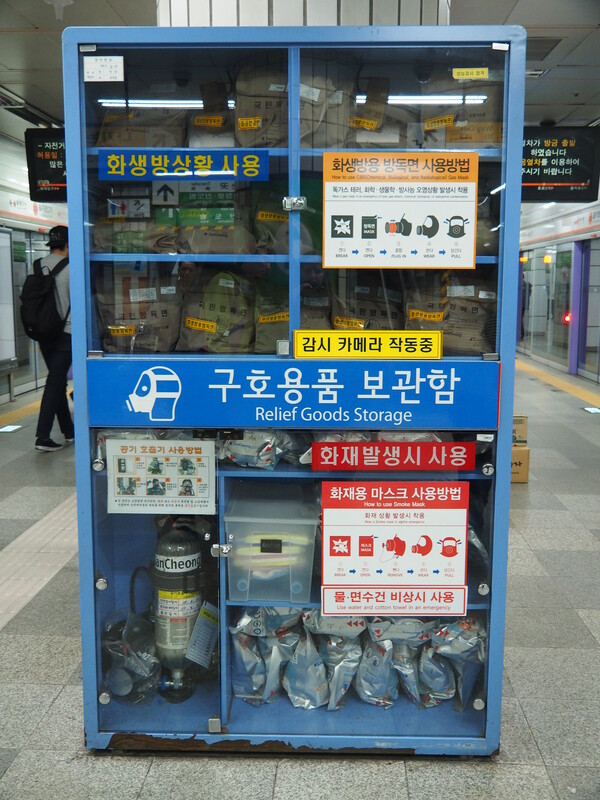 And in spite of the fact that it was Japan’s subway system that was the site of a deadly sarin attack in 1995, every station in Seoul is equiped for such a potentiality. It has been a very rewarding detour, I am glad that we came. 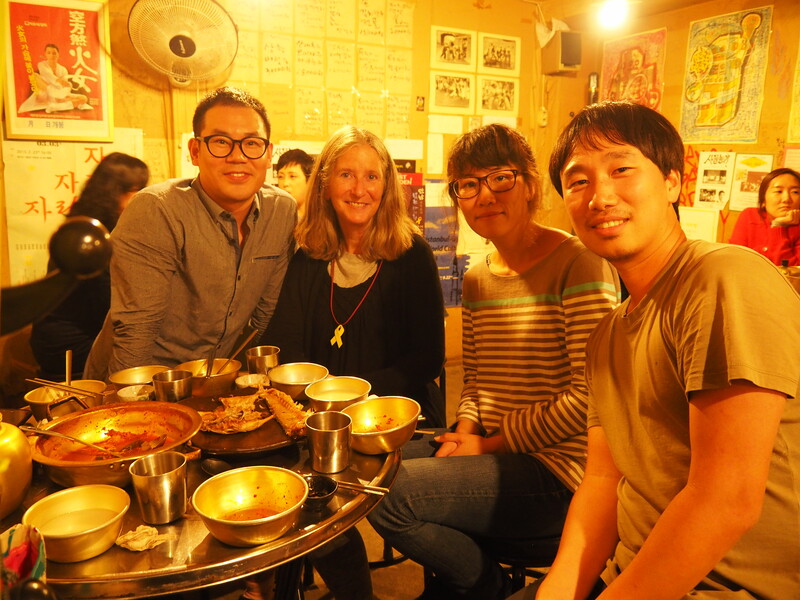 I love reconnecting with friends and I return to Japan impressed by Korea’s landscape and the kindness of its citizens.